Ready for seriously the Best Homemade Pimento Cheese Dip ever? Always, always a hit at our parties! A delicious blend of a variety of cheese and of course pimentos make an amazing cheese dip! We love making dip to serve as a dip with crackers! Keep it low-carb and serve with veggies like celery and peppers. These make amazing pimento cheese sandwiches too, yum! A perfect way to celebrate #nationalcheeseday! 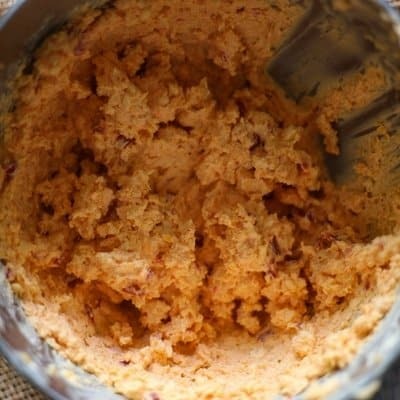 Homemade Pimento Cheese makes a delicious dip! I love taking a recipe I love and remake it with lighter flavors. That is exactly what I did with this yummo homemade pimento cheese dip. By using light mayo and low-fat cheese, the pimento cheese spread still has amazing flavors yet not completely loaded down with calories. To everyone’s surprise, this cheese dip uses low-fat ingredients. This is one of my favorite dip recipes. I love cutting up veggies and use pimento cheese to dip my veggies! An awesome keto, low-carb, gluten-free snack! It is National Cheese Day, and let me tell you, cheese is my weakness! When I made my life change a few years ago, one of the things I could never give up is cheese. I always use low-fat cheese, rarely do I use fat-free because I do not love the flavor. In my early 20’s, when I was a flight attendant, I was in Atlanta for a layover. I often ask the servers what they recommend because obviously, they know their menu. If you have never done that, please do, you will enjoy awesome food! So my server recommended the pimento cheese dip and holy moly was he right, absolutely delicious! I was hooked! For some odd reason, I didn’t make pimento cheese for a long time, queue sad face because that was a silly choice on my part! Then, something fabulous happened, our oldest daughter got an internship in South Carolina. On one of our daily phone calls, she thanked me for teaching her how to make pimento cheese dip because she had it at a restaurant and is now making it regularly for her roommates. I had that aha moment. It had been way too long since I had made Homemade Pimento Cheese Dip, and that was about to change! Call me crazy, but I hear angels sing every time I say Pimento Cheese Dip! 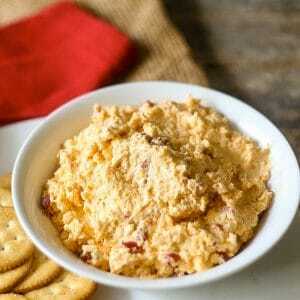 What are the pimentos in Pimento Cheese Dip? Pimentos are a pepper. They are sweet and can be grown in your garden. The Spruce Eats has a great article about pimentos and tips to grow at home. If pimentos cannot be found, what can be used instead in pimento cheese dip? Pimentos are pretty easy to find, usually in the aisle with jarred pickles and roasted tomatoes. In a bind, roasted red peppers can be used to replace pimentos. 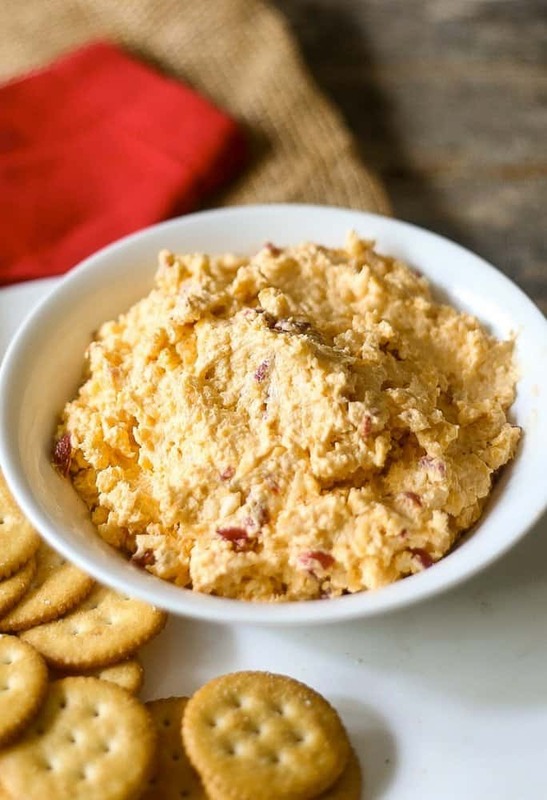 Pimento Cheese Spread is a favorite Southern Dish, but guess where it originated? 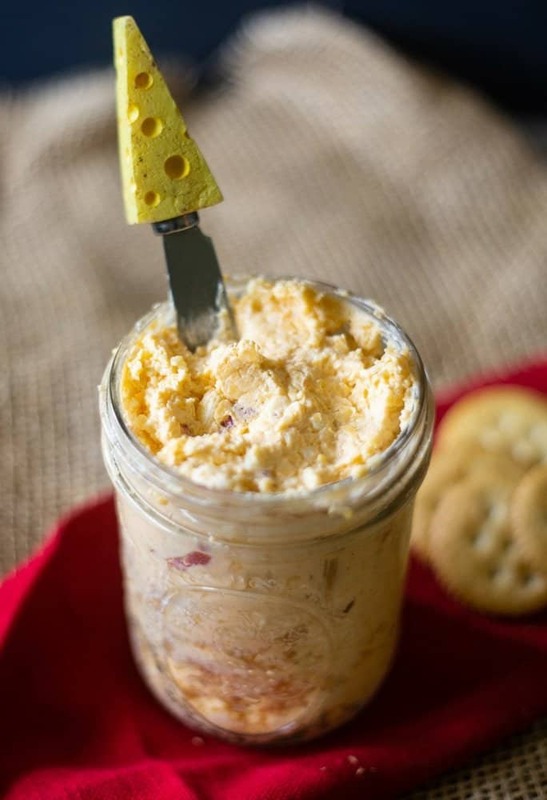 Surprise, surprise, Pimento Cheese Spread originated in New York! I know, who knew! I always tell my gf, who grew up in the South, come on over, I’m making our favorite Southern Dip today! When I told her about its origins, she was shocked as I was! However, guess what, Pimento Cheese is amazing, and we don’t care and where it was made because it’s just so darn good. Serious Eats has the whole pimento history! Yes, pimentos have a history. How long can Homemade Pimento Cheese Dip be kept in the fridge? 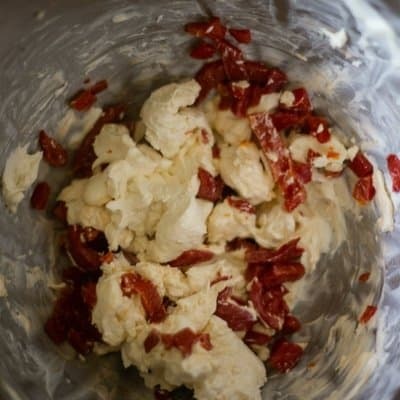 Keep pimento cheese in the fridge for about a week. I do not freeze mine so I cannot speak on that but I don’t recommend freezing as the ingredients may separate in the defrost process. Pimento Cheese Sandwich is the most amazing sandwich ever. These sandwiches are classically made on white bread. However, I love pimento cheese on pumpernickel bread. I cut the crust off the bread and serve these at brunch, lunch, or tea. Cut the crusts, if feeling fancy. Spread the pimento cheese on the bread, top with another slice of bread. Slice into fourths and your guests will love it. I bring these to a wedding and baby showers, great finger food! 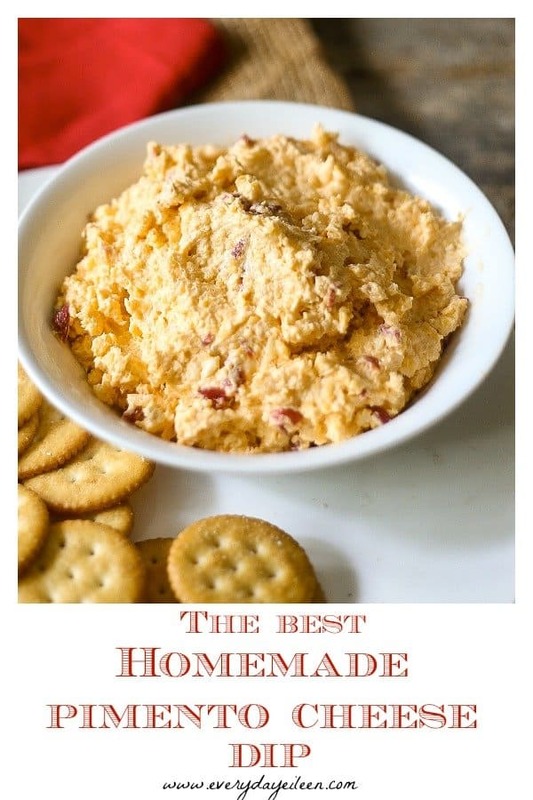 Homemade Pimento Cheese Dip makes a great hostess gift! Bring along in a mason jar! Include a cute cheese spreader! Healthy Tuscan Bean Dip, Costco copycat dip that is great as a salad or a dip with chips! So easy and a no-cook bean dip! Grilled Eggplant Caprese Salad A Caprese Salad to the next level. Grill the eggplant and drizzle Balsamic vinegar on the veggies and cheese. gluten-free, keto. Weight Watcher Coconut Cucumber Splash: Coconut water, mint,agave, and cucumbers equals hello delicious! mocktail, fat-free. Ultimate Festive Winter Sangria; Although this is a winter sangria, I can drink this all year. Lots of fruit, club soda, and red wine. YUMMO! I’d love for you to click over to shop the Everyday Eileen store on Amazon! Thank you so very much for being apart of Everyday Eileen! Shell Cheese Spreader: Cute cheese spreaders. These have shell handles which I love the beach theme on the handle. Kitchen Aid Stand Mixer:I have had my Kitchen Aid Mixer forever! Love it! 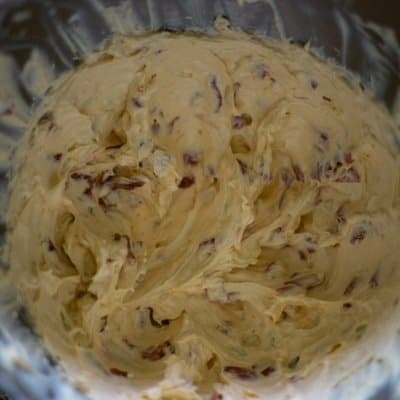 In a mixer bowl, use the paddle, add the cream cheese, mayo, and minced garlic and onion powder. Add the shredded sharp cheddar cheese and Colby jack cheese. Blend for about 2 minutes. Ready to serve with crackers, veggies, burger topping, pimento cheese sandwich, endless possibilities! When you make this delicious homemade pimento cheese, take a pic and tag me on Instagram @everyday_eileen or #everydayeileen. I would lo e to see it and give a comment! We love seeing your creations. Are you loving this recipe, giving it a 5-star rating and any comments are super helpful for me and very much appreciated! Using either a food processor with the shredder attachment or manually shred the cheddar and Colby jack cheese and set aside. 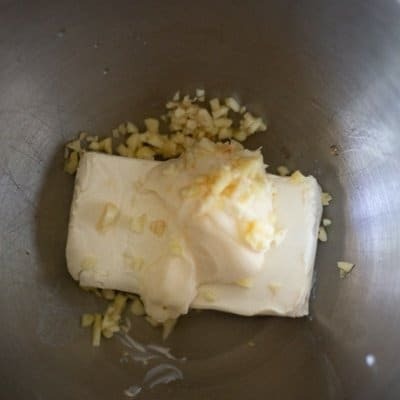 Use the paddle attachment, add to the mixer bowl add the light cream cheese, light mayonnaise, and chopped garlic. Blend for about 1 minute. 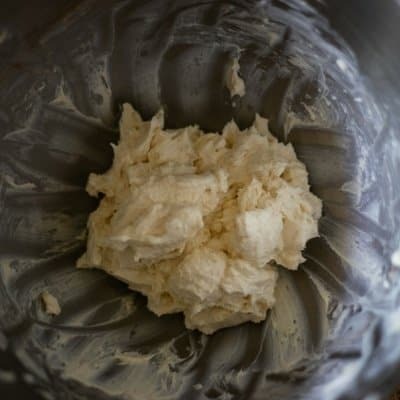 If using a hand mixer, use the beaters and continue with recipe. Add to the mixer bowl, the pimentos, Sriracha, onion powder, and Worcestershire Sauce. Blend for about 30 seconds. Add the shredded extra sharp cheddar cheese and Colby Jack cheese. Combine for about 2 minutes. Pimento Dip will be well blended. Serve with crackers, veggies, burger toppings, Pimento cheese sandwiches, endless possibilities. Take the time to use the block of cheese and shred it yourself. Pre-shredded cheese does not provide the same flavor for this recipe. Take the time to drain and dry off the pimentos before adding to the mixing bowl. Excess water is not pretty in any recipe :). I do prefer low-fat cheese, however, full-fat cheese can be used. Pimento Cheese Dip can be store well covered in the fridge for about 1 - 1 1/2 weeks. I do not freeze Pimento Cheese Dip. So I cannot speak to whether or not it can freeze well. I think the mayo and cheese would separate. As I mentioned, today is National Cheese Day and I am celebrating with some of my favorite food bloggers! Thank you so much to Camille, who runs Culinary Adventures with Camille for hosting this wonderful event! I cannot wait to begin making these amazing cheesy recipes. My biggest dilemma is where to begin, they are all amazing! Growing up in the south and loving this dip, I never would have guessed that pimento cheese start in New York. I’ve pinned your recipe…it sounds great. I was so surprised also that pimento cheese began in NY. I hope you enjoy the recipe. I absolutely love how this dip looks.. and sounds. It’s so cheesy and flavorful. Yummy! I’m hosting a party this weekend and this will be perfect for my guest to serve them. Saving this recipe. Fabulous Natalie, I hope your guests enjoy the dip. Let me know how it works for you. Perfect Karyl, enjoy the dip. It is addicting. When I see pimento cheese I DO think of the South. I love the South. It is such a part of their culture. I’ve made lots of spreads but I’ve never made it. I’ll have to change that. And you are so right — ask the servers what’s good and have them recommend a dish. Thank you Marisa! I hope you enjoy the pimento cheese as much as we do! This looks super delicious…exactly my kind of dip…yum! Thank you Wajeeha! Pimento spread is a favorite! I hope you enjoy! Homemade dips are so good. This would be great to take on a picnic…or to a BBQ party. Always a crowd pleaser….and so much more delicious that bought. I can see this happening for our next backyard party. We enjoy these all summer by the pool! Enjoy the recipe! I have been wanting to try this dip for such a long time! This recipe looks so quick and easy (and DELICIOUS!). I really need to get on it! Fabulous Lauren, let me know how the recipe works for you! 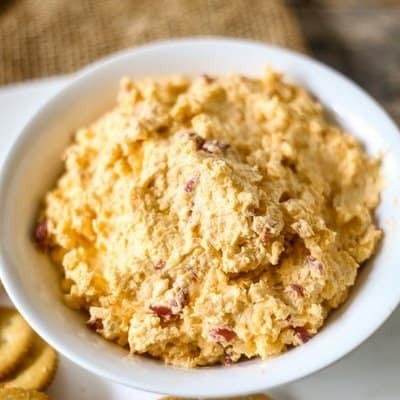 I’ve recently tasted pimento cheese and absolutely loved it. This is so perfect as a dip and for sandwiches. Thanks for the recipe, now I can make it right at home. Thank you, Nicole! So happy you love this pimento cheese dip! Let me know how the recipe works for you, Claudia! Glad you like the recipe! I’ve never had it made from scratch before, definitely need to change that! I have recently been introduced to pimento cheese and am a total convert. This stuff is amazing. Can’t wait to try yours. I’d love this in a grilled cheese! This dip looks so cheesy delicious! I am always ready for a good cheesy dip! I need to make some for one of our summer get togethers! Awesome Carlee, I hope the dip is a big hit for you! I just happen to have all ingredients on hand for this amazing dip. Excellent Wendy. I do hope you check back in with me and let me know how you the recipe worked for you.